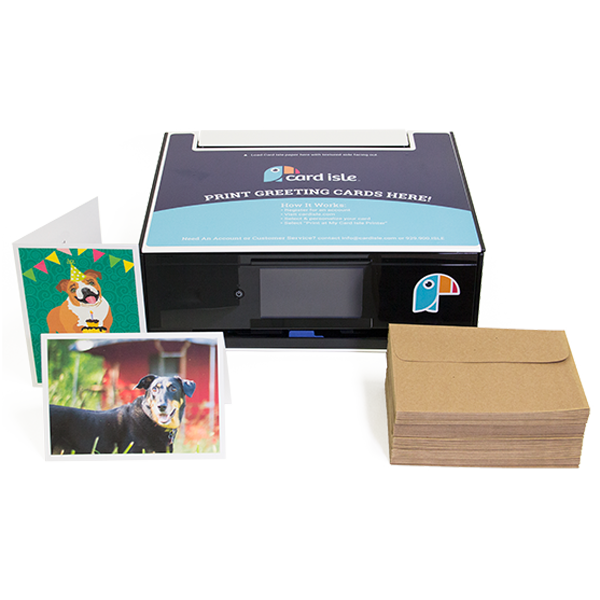 Take control of your greeting cards with a Countertop Card Isle printer in your home, business or office building. 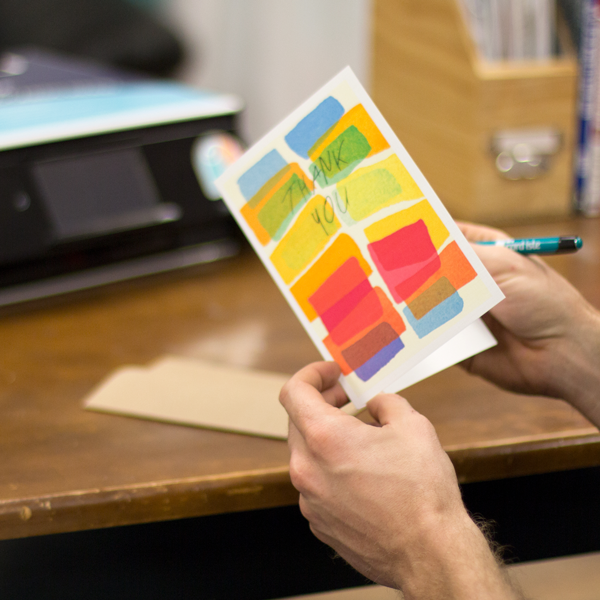 Personalize and print Card Isle cards directly from your browser. Perfect for home, business and retail. Design and pay online though verified connected accounts. Multiple users can print through seperate accounts to a single printer. Integrations for online retail available. Access over 8000 greeting and photo card designs from local and indepent artists. No hassel Inventory: We'll send additional paper, ink & envelopes when you run low. Already have a print station? Contact us to connect your account. For greatest reliability we recommend a hardwired ethernet connection. The printer may be connected through wireless but is not the suggested best practice. Who restocks the print station? Someone within your organization will need to perform a simple restocking from time to time. We promise its easy. How soon can I get a Card Isle? 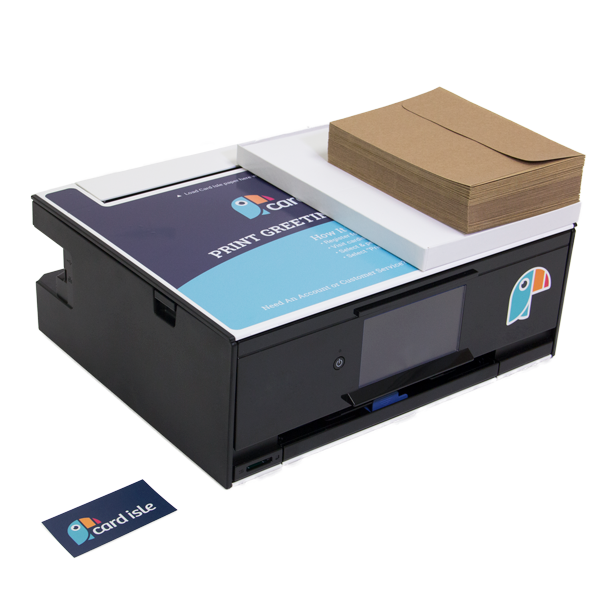 Once you have completed payment with our sales representative, your print station will ship in 2-3 days. How do I get additional card stock, ink or envelopes? How do I connect to a print station? First, create an account here. Next, contact Card Isle customer support at 929.900.ISLE(4753) or info@cardisle.com. We will connect your account to your print station. Ready to get your own printer?? Tell us a bit about yourself. Fill out some basic information and a sales representative will reach out shortly.